, new prices vary by retailer). 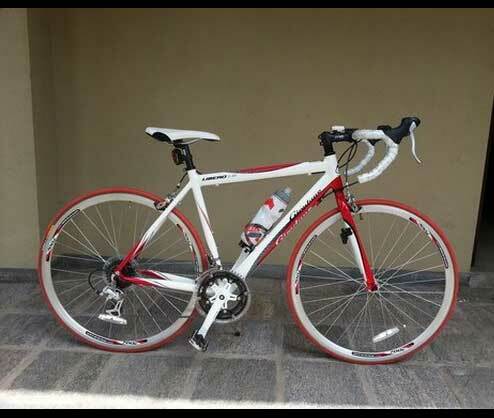 And it definitely has a better color scheme than the women’s Giordano Libero 1.6 road bike. If you’ve looked over my list of the best value road bikes for the money, then you might be interested in getting a bit more information on this particular bike. To help you out, and answer any questions you may have on this men’s road bike, I want to share some of the features and what you can expect from this bike. How do I know which size frame to order? What is the weight of the Giordano Libero 1.6 men’s road bike? Does the Giordano Libero 1.6 men’s road bike come equipped with ‘quick release’ for the seat and wheels? Do the tires have presta or schrader valves? Can you put clipless pedals on this bike? 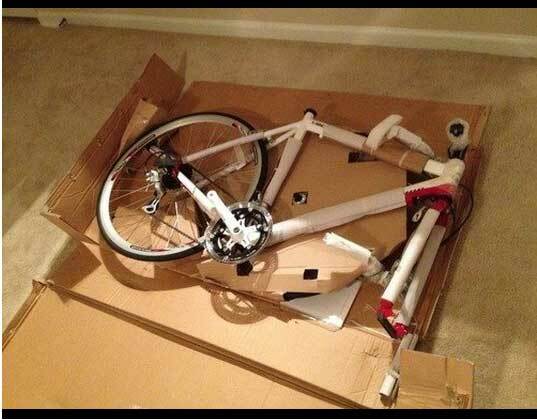 How much assembly is required when the bike arrives? How do you shift the gears on the Giordano Libero 1.6 men’s road bike? If you are unsure if biking is going to be your thing, then this men’s Giordano Libero road bike makes a great starter bike for the money. It has a low, affordable price and delivers some good quality and a decent. And really, that is all you need to determine if this is going to be a hobby for you or not. The bike has an attractive design, but is only available in the red/white color combo. And it has some decent components that get the job done, however they are not the best parts that money can buy. At this price point, you get a pretty decent value for the money. If you’ve ever ridden a more expensive bike, then you will immediately notice that the brakes on this one just aren’t as precise and the shifting is not quite as easy. That being said, the brakes and shifters work fine, but they’re just not as great as they could be. Granted, at a higher price, you can get a top of the line bike with all those top of the line components. When you get the bike. you will love how easy it is to put together. And, even better, it is so incredibly lightweight. I find this weight of bike perfect for climbing hills. Once it’s all put together the first time, you’ll probably notice that one of the Derailleurs is a bit off. This is a common issue with this bike. That’s why you need to take it to your local bike shop for a quick tune-up BEFORE you go out riding it. Once adjusted, the shifting should be a breeze. With just a little riding, you will start to notice some definite wear on the tires. That’s because they are cheap, bottom-of-the-line tires. Definitely upgrade those if you get the chance and have the funds. Cause you don’t want to be 15 miles from home with a flat or anything, right? And it’s no secret that the seat on this bike is very uncomfortable. If you have padded bike shorts, then you will definitely want to wear them. Or just replace the seat if you prefer. For the style and components that you get in this bike, you really can’t beat the value – especially if you’re on a budget. That makes this a great road bike for students. The ride is pretty smooth and the frame feels solid when you’re on it. You can get up to a reasonable speed without feeling like you’re not in control, so that’s good. Basically, this is a quality bike for entry-level roadies who don’t want to spend a lot but still get a quality bike. All of the problems with it are minor ones that you can either live with or cheaply fix on your own. Either way, it is still cheaper than buying a more expensive bike. One tip I have is to get some cheap tape to go over the white tape on the bike. Why? Because the white get VERY dirty VERY quickly. And it’s a shame to have such a good looking bike with dirty tape. All together, the weight for this bike is about 23 pounds. It is a great choice for a lightweight bike and you’ll be thankful for that if you ride a lot of hills. Or, if you take your bike on public transportation. Kind of. The seat on the bike is not quick release, but the wheels on the bike are quick release. Out of the box, the tires on this bike have schrader valves. However, if you change out the tires then you can use presta valves. Yes, if you need to put clipless pedals on the Giordano Libero 1.6 men’s road bike, then you can do so. And it is pretty simple process. To remove the current pedals, just spin them around from the crankset. As you may expect, this bike comes in pieces in the box. Though that may sound troublesome, it is actually not that bad. You’ll have to assemble the pedals, the front wheel, the seat and handlebars to the rest of the frame. Give yourself about 20 to 30 minutes to get it together. Just an allen wrench and an air pump is all that is needed. 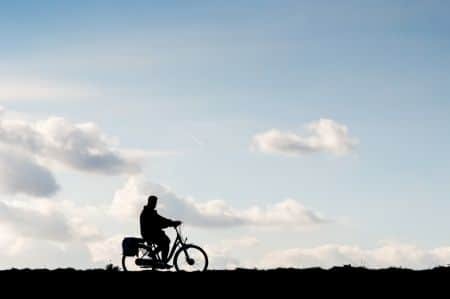 Of course, the bike will need the gears tuned-up once you get it together, which is something that you can do on your own or take to a local bike shop. Expect this to cost around $70 or so, depending on your area. This bike has the Shimano 2300 integrated shifters , which are sometimes called “brifters.” If you’re not used to riding a bike with these, then shifting the gears might not come easily to you. Fortunately, it is easy to do. If you look on both sides, then you will notice that you can move to a larger ring by pushing the brake levers towards each other. And if you want to move to a smaller ring, then you can just click the little switch on the inside of the brake hood. For most riders, this will be right next to your thumb. Want to shift up? If so, this is how you to it on this bike: on the left side, push the brake lever to the right; on the right side, click the thumb switch. Want to shift down? If so, this is how you do it on this bike: on the left side, click the thumb switch (probably twice); on the right side, push the brake lever to the left. bike is much heavier now, women’s 43cm is 27.5 contacted the company after costco.ca listed it as 32lbs. I have a question. On Amazon.com the frame looks slightly different from how it looks on your bike. what size is your bike? It’s just a different year. If I remember right, the one you see in the pics is a 2013 frame. If you’re wanting that particular frame instead of the current model year, then look on eBay or your local Craigslist. I’ve seen people selling new and used ones on both sites. so i can get the current model on any website ? Yeah, pretty much any reputable place should be selling the latest model. If they don’t list that info in the specs, then check out the photos on the site you wanna buy from and see if you can confirm if it matches what you see on Amazon. I haven’t seen anything specific to the frame in that color. Since Amazon is selling it, you might want to just look through all of their reviews and see if anyone is talking about it. Of course, that will be time consuming. Another place you might want to look is forums.roadbikereview.com as you can find a lot of people giving their thoughts on current models there. Good luck! You could definitely use it for road racing as the lightweight frame really picks up speed fast. As for top speed, I’d put it between 35-40 mph. Hey , solid review! I have a question though, do you know what is the biggest difference between the Libero 1.6 and the 2.0 ? 2.0 seems to be a bit more expensive, I see it comes with carbon forks but I don’t see anything else, do you know a site that has a comparison of the two models? I don’t see anything about the 2.0 anywhere!